I just love this new member of my DIY family. The color is perfect for the Autumn and the quality of the leather is amazing. Can you believe I bought this leather piece on a flea market for only 1€($2)? The cute bug-brooch was also a flea market bargain. So altogether my DIY clutch cost less than 10€($13). I think that is a great deal for a cute handmade clutch. If you are looking for some leather pieces for this tutorial you can find great deals on your E-bay or Etsy.com. 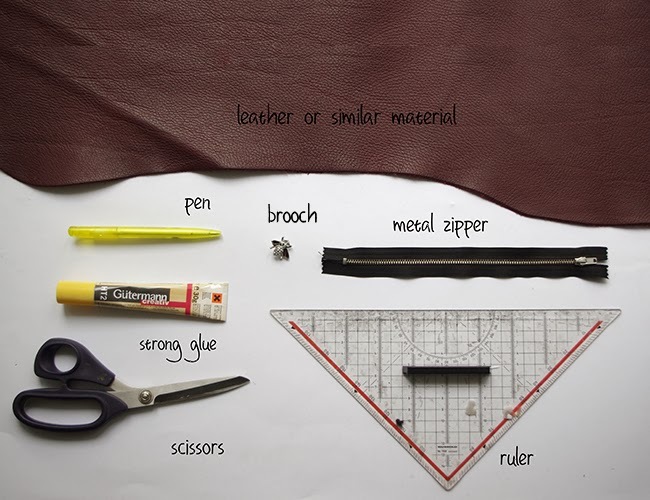 But of course you can use any thick material like felt or PVC sheets instead of leather. 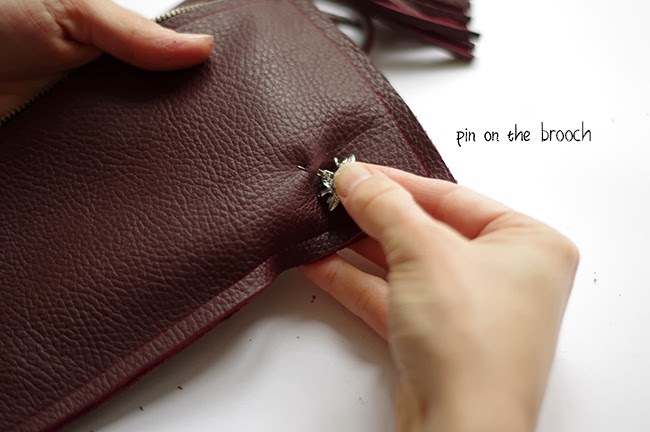 Make sure to use leather needle for your sewing machine. 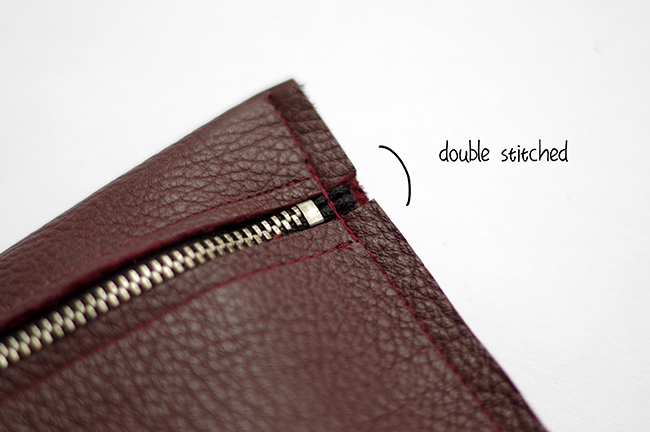 If you don’t have a sewing machine you can use a strong glue or glue gun to close the seams. I really like it! Thank you for the tutorial, I'm definitely going to try this! The tutorial is easy and simple thank u! I really love it!! Love it! Going to try it with some black leather I have. Thank you for the great tutorial! So beautiful… really loved it. Just want to ask you one question. when the glue dries, isnt it hard to sew over it? Well that depends on the glue you pick. You should pick one that is good for leather and similar materials. Those glues won't get hard. Don't take the glue gun. Besides the leather needles are extremely sharp and go through everything. If you're not sure about your glue, cut a small piece of the materiel you want to use and test your glue on it. That is so beautiful. I use a similar pleather but normal woven backing. I used needle size 80 , tension 2 and width 4, stitch length 4, needle size 90. I tried with the variations of these as well, but my stitches at the back come a bit loose no matter what I try and adjustments made. Can you suggest me a good solutions to the same.